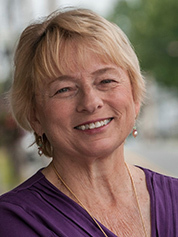 Janet Mills campaigned as a climate champion. Maine's governor-elect pledged to slash emissions 80 percent by 2030, bolster renewables and revive state climate action after eight years under Paul LePage, the climate-denying Republican governor who will depart Augusta in January. But perhaps the biggest climate test facing Maine's new Democratic governor is an issue seldom mentioned on the campaign trail: the fate of Central Maine Power Co.'s proposed $950 million transmission line. The project would connect hydropower generated by Hydro-Québec, the provincial utility, with energy-hungry Massachusetts. Advocates say the project is essential to New England's climate goals, injecting a reliable source of low-carbon energy into the regional grid at a time when nuclear plants are closing. Critics worry that the project would mar Maine's ecologically sensitive northern woods, push regional power generators from the market and hamper new renewable projects. They also question its climate credentials. Although it may hold down emissions in New England, they contend it could prompt emissions to spike elsewhere. The power line was a fleeting issue in the gubernatorial campaign this fall. All the candidates expressed varying degrees of skepticism and questioned its benefit to the state. But Mills has gone a step further since defeating Republican Shawn Moody and independent Teresea Hayes earlier this month, raising alarm about the project's potential environmental impacts. In a statement to E&E News, the governor-elect said she was worried that the project "would potentially clear a football field wide swath through 145 miles of pristine wilderness in western Maine" and expressed concern about its impact on wildlife. The dynamic illustrates the difficult trade-offs facing climate hawks in New England, where state climate goals and energy policy are intertwined by a common wholesale electricity market. The region boasts some of the most ambitious climate goals in the country. Every New England state has pledged to reduce carbon emissions at least 80 percent by midcentury. New Englanders can claim some progress toward their goals. Carbon emissions associated with regional electricity generation were down by nearly a third between 2001 and 2016, according to ISO New England, the regional grid operator. But serious challenges loom on the horizon. Emission reductions in large part have been driven by coal plant retirements, and there are few of those remaining. After 2019, two small plants in New Hampshire will be all that remains of coal power in New England (Climatewire, May 30, 2017). Natural gas now accounts for about half of the region's power generation. Limited pipeline capacity means power plant operators can be squeezed on cold days, when pipelines are also used to meet the region's heating needs. Then there are New England's nuclear plants, long a large source of zero-emitting energy. Emissions briefly spiked in 2015 after Vermont Yankee shut down its nuclear reactor along the Connecticut River. Next up is the Pilgrim Nuclear Power Station south of Boston, which switches offline for good in 2019. Hydropower was intended to fill the void left by the closing nuclear facilities and serve as a foundation to complement the region's ambitious plans to build out offshore wind. The push has been led by Massachusetts. Lawmakers in New England's largest state passed a bill in 2016 requiring Bay State utilities to contract for 1.2 gigawatts of hydroelectricity, enough to power 1.2 million homes. "With such a large purchase, there is a significant benefit in New England because you're displacing gas-fired generation," said John Dalton, an analyst at Power Advisory LLC, a Massachusetts-based consultancy. The project, he added, represents a major "contribution to achieving Massachusetts' emission reduction goals." Not everyone sees it that way. 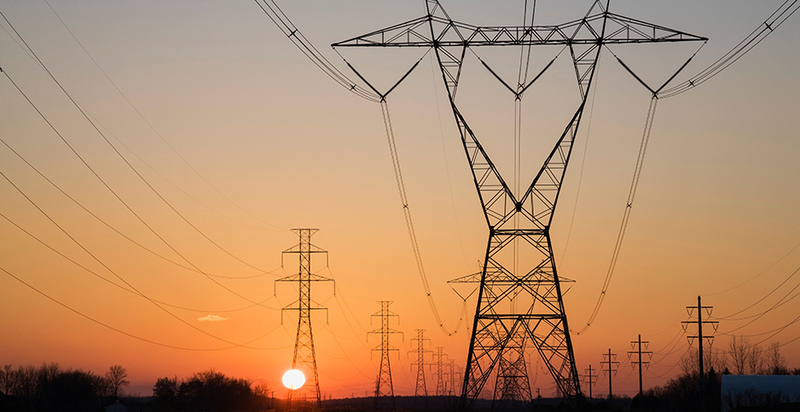 New Hampshire regulators rejected an initial plan to route a transmission line from Quebec through the Granite State. That prompted Massachusetts regulators to set their sights on Maine, where Central Maine Power has proposed building a 145-mile line capable of annually delivering 9.5 terawatt-hours of power from Hydro-Québec to Massachusetts. LePage enthusiastically endorsed the project, as part of his bid to bring more Canadian hydro into the state and lower electricity costs. But it now faces mounting opposition. Natural gas interests argue Hydro-Québec's contract with Massachusetts will push them out of New England's power market, leaving the region without a power source needed to keep the lights on. Conservationists have raised concerns about the proposal to cut 53 miles of new transmission corridor through the Maine woods, threatening native brook trout populations and wintering grounds for deer. The remainder of the project would be routed through existing transmission corridors. And some environmental groups have charged the project's proponents with greenwashing. A study commissioned by the Natural Resources Council of Maine and the Sierra Club of Maine concluded that the route proposed by Central Maine Power would give Hydro-Québec an incentive to sell hydropower to Massachusetts at a high price and buy fossil energy from neighboring markets at a low price. That would offset the benefit of providing low-carbon electricity to New England and might even lead to an increase in emissions in some cases, the report found. "Let's not take the crummy impacts of infrastructure to get no climate benefit," said Dylan Voorhees, climate and clean energy program director at the Natural Resources Council of Maine. He welcomed Mills' skepticism, saying the governor-elect "is asking the right question, which is what's in it for Maine? Is this a good deal or not? That implies trade-offs. If you start to do that balancing, it starts to fail pretty quickly." Central Maine Power and Hydro-Québec dismiss such charges. They note that the project is crossing timberland that is hardly a pristine wilderness devoid of human disruption. And they reject arguments that the project would increase carbon emissions. Quebec is part of California's cap-and-trade program, and nearly all of Hydro-Québec's power generation comes from hydro. In 2017, the provincial utility reported that fossil fuel imports accounted for 0.04 percent of its power supply. "The 24/7 design of the energy delivery contract for the NECEC line ensures that GHG emissions in New England will be reduced significantly, particularly when emissions are highest during peak periods," said Lynn St-Laurent, a spokeswoman for the utility, referring to the project's official name, the New England Clean Energy Connect. Energy analysts also questioned claims that the project would result in a net emissions increase. Neighboring Ontario and New Brunswick are hydro- and nuclear-heavy power systems, making them unlikely sources for fossil fuel imports. What fossil fuel generation remains would be subject to Canada's new carbon tax and a mandate to close all coal-fired facilities by 2030. New York, meanwhile, is a net importer of hydropower from Quebec, and Gov. Andrew Cuomo (D) has announced plans to close his state's few remaining coal plants. Jesse Jenkins, a power-sector researcher at Harvard University, said it is possible that the arrangement could prompt Hydro-Québec to buy fossil generation at select points during the year. But it is nearly impossible to design a state-level climate program without any emissions leakage, he said. The project does meet a critical need for New England, Jenkins said. At a time when nuclear plants are closing and opportunities for carbon capture or biomass appear limited, hydro offers the region a reliable source of low-carbon energy that can be used as a foundation to support its build-out of renewables. "There are not a lot of options for New England, and hydro from Quebec is one of them," he said. "We do need to get serious about a broader regional conversation about what trade-offs we are willing to make. It may not be this particular project, but we have to be willing to make trade-offs. We can't say no to every individual project one by one." Mills, now the state's attorney general, enters the picture against that backdrop. The project was initially expected to receive a vote before the state Public Utilities Commission (PUC) by the end of the year, but that has been pushed back until March. The governor does not have direct oversight over the project but does appoint commissioners to the PUC, which will have the final say. The current chairman's term expires in March. Mills has fashioned herself as a climate advocate. She campaigned on a pledge to encourage net metering — the practice of paying residential solar owners for surplus energy sent back to the grid — and boosting onshore and offshore wind. And she has paid close attention to energy conservation efforts, saying she wants to offer further incentives for heat pumps and pellet stoves for residential heating that reduce dependence on fuel oil. But even if Mills succeeds in greening Maine's economy, she faces the stark reality that hers is a relatively small state. Carbon emissions from Massachusetts' power sector alone (10.7 million tons) were roughly two-thirds of Maine's total energy-related emissions (16.6 million tons) in 2016, according to federal figures. That means Mills' greatest climate impact likely hinges on her ability to work with neighboring states. After eight years under LePage, who eschewed the Regional Greenhouse Gas Initiative, a cap-and-trade program encompassing nine Northeastern states' power sectors, Mills signaled she is willing to do that. "I am absolutely committed to Maine partnering with our fellow New England states to combat climate change, and, as governor, I will pursue policies to that end," she said in response to questions from E&E News. She added a cautionary note on the proposed transmission line. "I would want to see substantial mitigation of this environmental impact, as well as concrete, long-term benefits to Maine ratepayers and energy consumers before putting the welcome mat out for this project," Mills said. Her climate legacy may ultimately depend on what trade-offs she's willing to make.